Since the beach of Itzurun in Zumaia was selected as one of the main Game of Thrones filming locations in Spain, Zumaia in the Basque Coast Geopark has become in a worldwide known geotourism destination. Nevertheless, before that, Zumaia was also a world-famous spot thanks to its amazing flysch cliffs, an extraordinary geologic phenomenom and heritage. 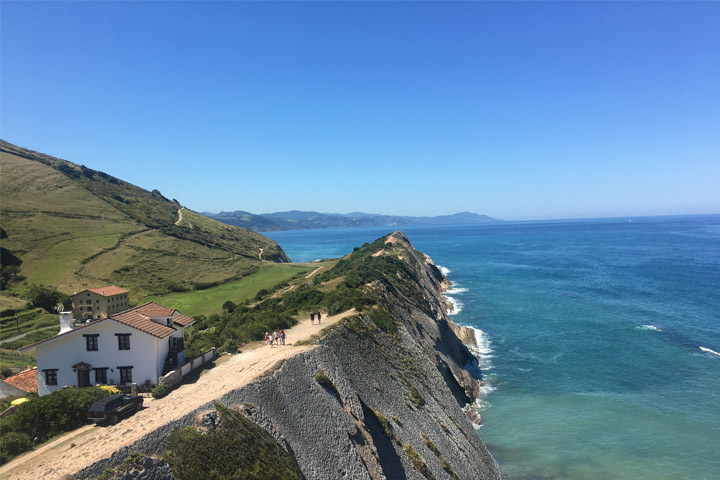 Zumaia, along with Mutriku and Deba municipalities, conforms the Basque Coast UNESCO Global Geopark, a privileged geological balcony that received the formal UNESCO support in 2015. The geopark label itself gives us not only the opportunity to make an authentic journey in discovering the geological time, but also to dive into the millennial culture and ancient traditions of Basque people. Visit Zumaia with us in a relaxed walking tour, learn about the Basque Culture, breathe the wildness of the Cantabric sea and get ready to discover and admire, probably, one of the most important geological heritage places on Earth. We are not joking.